House Republican leaders are proposing to cap the popular mortgage-interest deduction that many Americans use to lower their taxable income to mortgages of $500,000 or less. 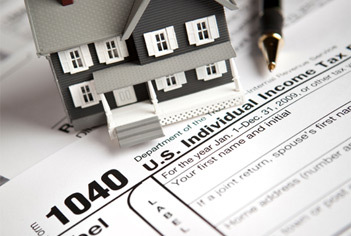 Americans are currently able to deduct interest on mortgages of up to $1 million. It would apply to new mortgages, not existing ones. The proposal is in the just-released House Republicans tax "reform" bill. In the wake of this news, luxury homebuilder Toll Brothers Inc. fell as much as 7.3 percent, and retailer Home Depot Inc. also saw heavy losses. The SPDR S&P Homebuilders exchange-traded fund, ticker XHB, and an S&P index that tracks builders also plunged in early trading. I'm against income tax and think that deductions should be 100% for everyone, meaning 0% tax. If there were no income taxes with incentives to buy larger homes than people can afford, debt structure in the US may look different. Home prices wouldn't be as over inflated. So then, if SALT goes, a deduction for funding local government, won't local government become more expensive? But the law of demand doesn't apply here, because commenters (and OP) live in high income tax states? JK, I love you RW. But the SALT issue is pretty funny. But are they not raising the standard deduction which means you pay less taxes generally speaking? I never got that much out of the home mortgage deduction. More song and dance than anything else. They kind of cheat you anyway; how many at some point can get the itemized deduction above the standard? I would have to pay my property tax twice this year to qualify and but forgo it next year.